Más! What girl doesn't want more? More sparkle. More kisses. More cowbell. While thriving on the zest for life, I get a thrill from a trek through a blueberry farm, a manta ray sighting, and a trip to the arts market with my best friend for more succulents. The little things, really. So, what does más mean to me? Enjoying every part of life. There is more out there for us to learn and see than just the 'superficial'. Knowledge. Adventure. Love. Gimme más of that. Oh, and one more drink (if you're calling Uber). I recommend a Gatorade - vodka and water with a splash of sour. Uno más! For moisture and protection from the sun's rays in the prettiest pink, I added Fresh Sugar Lip Treatment in Tulip. 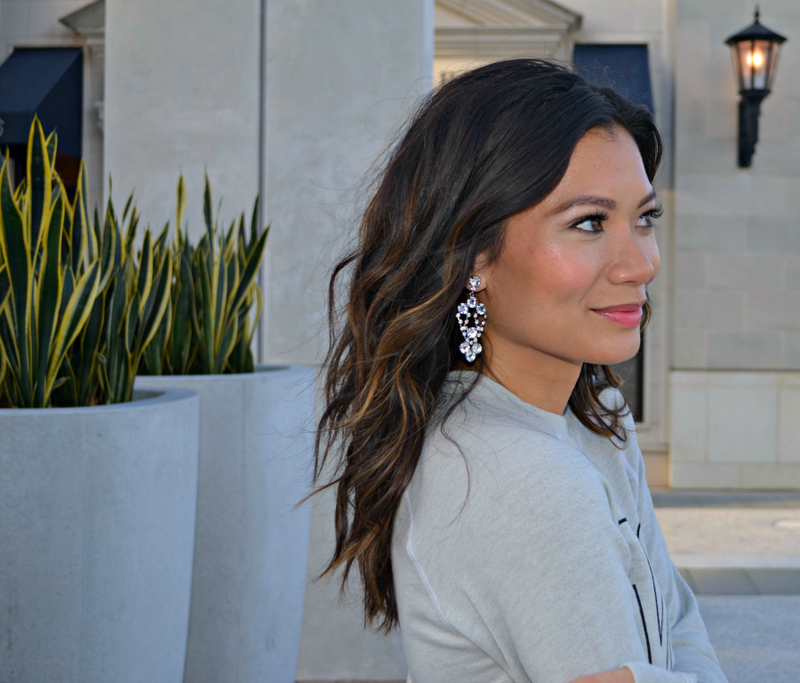 I am a big fan of style blogger, Julie Sarinana of Sincerely Jules. When I learned of her clothing line of simple, inspiring tees, I had to get my hands on one. This top is so soft and made here in the U.S.A.! Halloween is a week away! Can't wait to share my spooky look!